An excellent place to raise your family. Waunakee offers a friendly community as well as impeccable parks, biking paths and great schools. 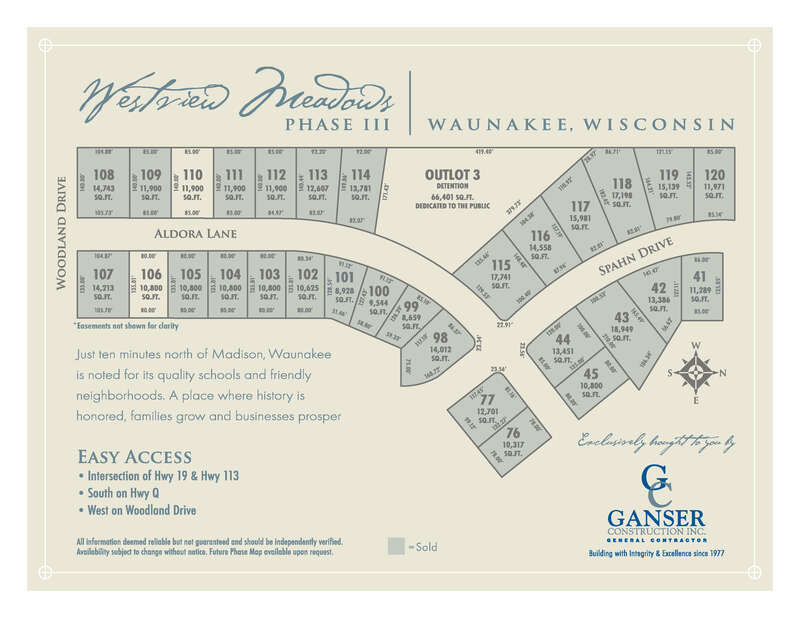 West on Woodland Drive, Westview Meadows is conveniently located next to the new Waunakee Intermediate School, near Centennial Park & Ripp Park and connected by a walking path. Ripp Park is an approximately 80-acre Village Park that consists of baseball diamonds, dog park, tennis courts, and soccer fields. 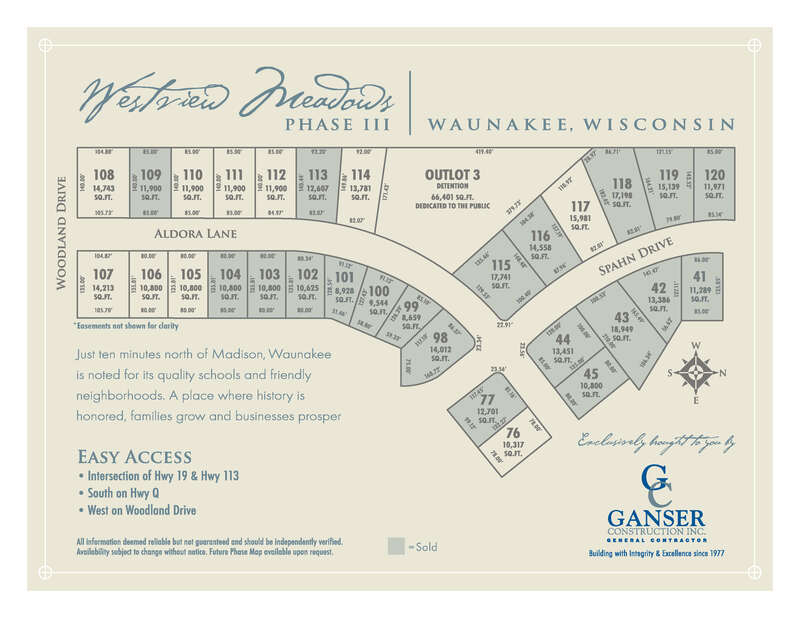 The Waunakee middle and high school are within walking distance of the Westview Meadows Neighborhood. Lots 106 and 110 will have lower level egress exposure. There are 2 opportunities remaining in Phase III of Westview Meadows; Starting at $100,000 Phase III lots are available for purchase! For pricing and currently availability, please contact the Ganser Construction, Inc Office at (608) 643-4667. On Monday, January 8th residents of Westview Meadows met to elect a 3 person Architectural Control Committee to continue to enforce the existing deed restrictions. Tony Huza, Hillary Budworth and Nicole Ganser will be serving on the ACC Committee for Westview Meadows. Any inquiries or requests can be emailed to ganser@ganserconstructioninc.com for committee consideration.